With Truckers Logic on your team, you’ll have access to the resources needed to grow your business. We offer a wide range of marketing solutions for your trucking or automotive related business. From banner advertisements and featured content to SEO and social media, you’ll have direct access to all of our marketing platforms. We reach thousands everyday. To learn more, contact us today and let’s start talking solutions for your business. Our network reaches thousands every day. Truckers Logic has grown into one of the largest trucking resource websites in the world. 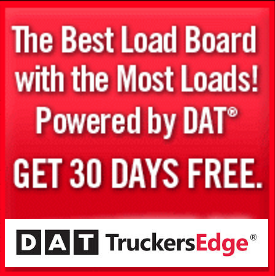 We reach thousands of truck drivers and professionals each day through our website and our popular Facebook page. Thanks for your interest in advertising with Truckers Logic. Our media kit explains everything you’ll need to know about advertising on Truckers Logic. Truckers Logic provides several unique ways to reach your target audience. We have our own marketing team to assist you in your advertising and marketing needs. Truckers Logic has a wide audience range that covers multiple industries such as trucking, transportation and automotive. No matter what products or services you offer to customers, reaching your target audience is crucial to your company’s success. At Truckers Logic, our majority audience is within the United States. We concentrate in 3 major industries, including trucking, transportation and automotive. From within these markets, we reach a wide variety of readers. Truckers Logic has a large range of traffic resources to drive traffic to your business. We use several techniques to bring targeted traffic to your services and products. Our largest driving traffic resource is organic traffic, specific targeted keywords we use to bring organic traffic to our website. We use SEO techniques to accomplish successful traffic conversions. The highest converting traffic is often organic and we can help drive traffic to the front door of your business. Truckers Logic also uses email marketing, video marketing, content marketing and social media marketing to drive traffic to our advertisers. We use all of these techniques to drive customers to your business. Direct traffic, social media traffic and referral traffic are other traffic resources that we use to help you grow your own business. We wanted to make sure that our advertisers get the highest level of ROI, so we chose to have our own marketing team in place to help you with all your marketing needs. Our marketing team can help you develop a plan and strategy to grow your business. Our professional marketing team has decades of marketing experience and resources. Our process is simple and effective. Our marketing team will fully evaluate your business. Afterward, we’ll develop a plan and strategies to fit your marketing needs. We’ll work side by side to optimize and maximize all of your marketing campaigns. Our marketing team can help you with strategies, planning, optimizing your web pages, landing pages and many other task to ensure you get targeted driven traffic to your business. One advantage that sits us apart from the competition is our ability to promote your business on multiple online platforms. Our advertising doesn’t stop on-site. We’ll promote your business on a variety of sister platforms that we own and operate. We’ve also partnered with other businesses to maximize your targeted advertising and marketing. We have over 200 different traffic sources we use to drive traffic to your landing pages, squeeze pages and web pages. Truckers Logic has quickly grown into one of the top tier platforms for trucking industry news and resources. We’re now investing in other important industries, such as the automotive industry, transportation industry and all-terrain vehicles. We have immediate plans to expand in new markets here in the United States, Canada and throughout the world. As our business grows, so does your own. As a partner and sponsor, your business will reap the benefits as we build more traffic and exposure. Your business will benefit as we launch new tools and resources for our target audience. You’ll have the opportunity to invest with Truckers Logic and see maximum results from our own business model moving forward. There’s no other company out there providing services like Truckers Logic. Our own professional marketing team will handle your projects from start to finish. We’ll be there to consult you and direct you every step of the way. We base planning and strategies based on the needs of your business. Our marketing team is experienced in business planning, business management, IT, web design, web development, sales, SEO, SEM, SMO, SMM, PR, media and much more. This type of service would easily cost thousands of dollars a month. Truckers Logic does it at a fraction of the cost. At Truckers Logic, we also include lead services for our clients.For example, if you’re looking to recruit new truck drivers, our marketing efforts would target these leads for you. If you’re looking to promote a new vehicle in the Midwest, we have the ability to target that audience and generate leads. There’s nothing we can’t do, our marketing team has years of experience marketing in these industries. Truckers Logic also provides 24-7 support. If you have a question, we have your answer. You work hard for your money and your money should work hard for you.